here is my latest bigger project. I really tried to paint her as best as possible. 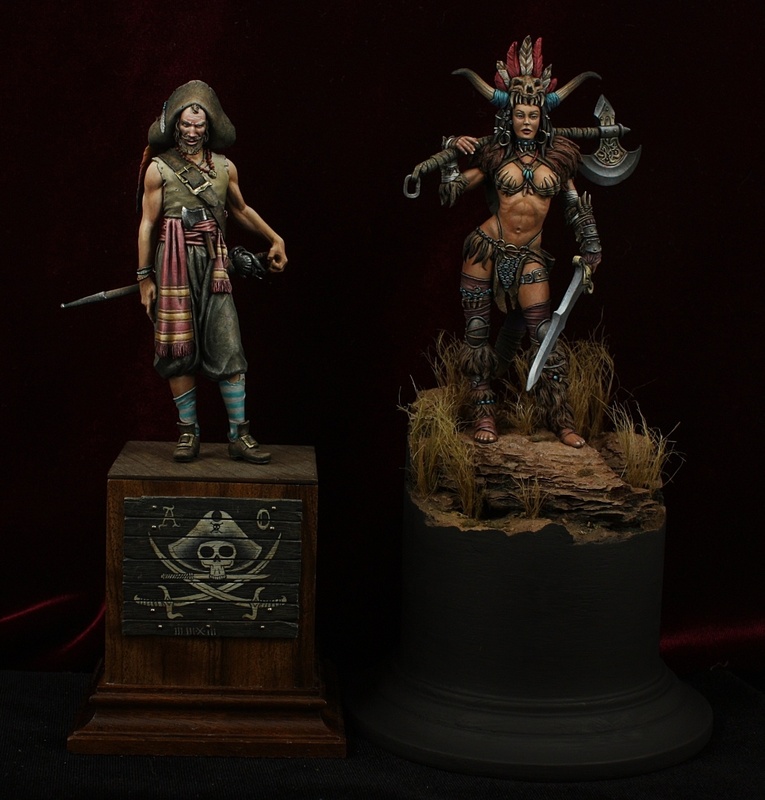 With this model from Black Sun Miniatures I had good possibilities. It's a really nice sculpt with thousand details, so many coins, claws, furl, leather elements, feathers..etc. 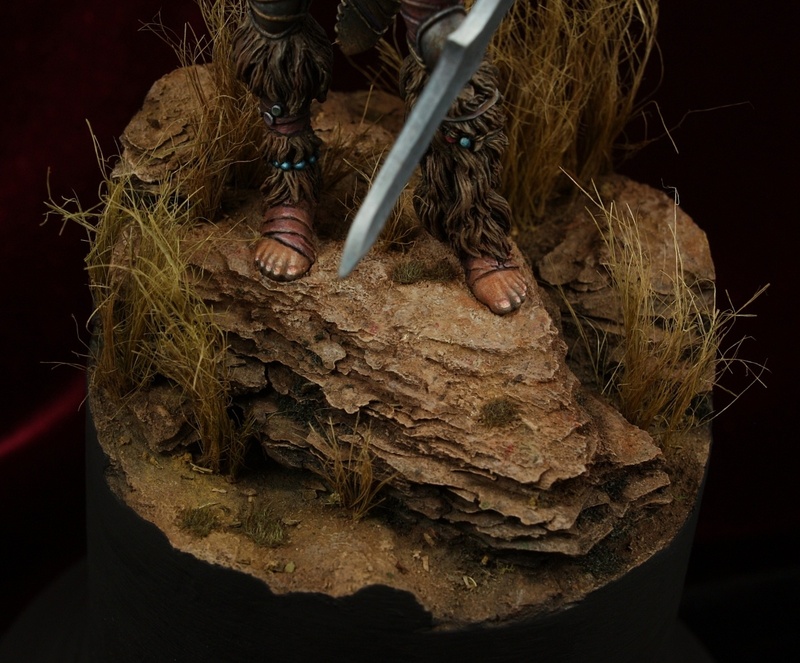 If you like many fine sculpted details you may should take a look at this model. Really like the job you did on this. I feel the flesh tone looks great and feels real. Really like the head dress too! Yay! U`re so cool! gold! Awesome work! Love that sculpt! Great job Oliver. Gold for me.